When you travel with children, there are many more safety concerns that you’ll have, than if it was just you and your partner. The chances are that you won’t have even thought about too many safety aspects of travel until you decide to travel with a family. There are a lot of things to think about, but it doesn’t have to be a stressful time; you can travel with children and keep calm! 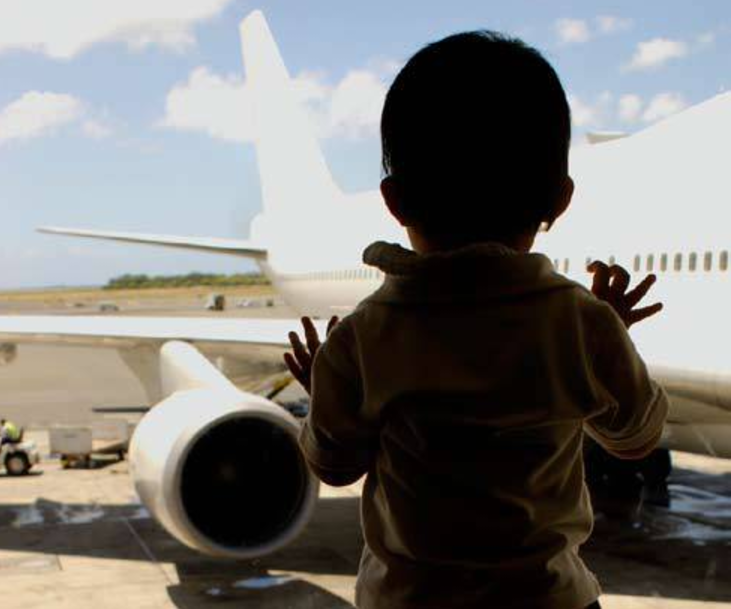 Here are a few suggestions to help you travel with children and keep it stress-free. One of the things that can stress most people out is the fact that they are rushing around. If you find that this is you, then taking some time to plan things out better will help so much. If you are flying from an airport, then give yourself plenty of time to the airport. If you arrive with a couple of hours to go, then so be it. At least your children can sit, run around, or play, when at the airport. It is better for them to be doing that, rather than you arriving late and feeling like you’re going to misplace a child or be late for your flight. It could be worth investing in a child locator if you’re looking to travel as stress-free as possible. It can be very well having your kids all wear the same color shirt, but it doesn’t help if they decide to wander off. So a child locator can help that. It is a pretty small device that goes onto their shoe or belt. You keep part of it too. Then if they walk off and you can’t find them, you can press the transmitter, and there will be a noise for you to follow until you find them. In an ideal world, you wouldn’t ever have to use it. But if you did, it would make things less stressful. Where you can, it is a good idea to take public transport. Not only do the kids find it more enjoyable than renting a car, but it can be safer if you are in a place that you don’t know. If you’re flying somewhere and they drive on a different side of the road to what you are used to, or there are road rules that you don’t know of, then it could end up being fairly dangerous for you and your family. So public transport could eliminate that element of stress. There is, of course, the rare chance that there would be an accident on the public transport. When you take the time to pack, plan, and think of nearly every eventuality, then it can help you to travel in a much less stressful environment. You want to enjoy your trip after all, right?